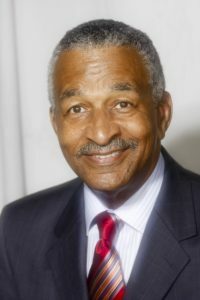 Jim Clingman, founder of the Greater Cincinnati African American Chamber of Commerce, is the nation’s most prolific writer on economic empowerment for Black people. “Stop that! I’m not going to tell you again.” I am sure many of you have heard your parents say those words more than once. Why? Because you always repeated what they told you not to do, right? Now that we are adults ourselves, some of us who are consciously aware of the state of the Black economy in this nation are saying the same thing to our people. “Stop that!” Stop spending so much and start producing more. Stop creating wealth for every other group and virtually none for ourselves. Stop capitulating to the whimsical and dangerous malaise of “instant gratification.” Stop! The information that made me scream at our people when I read it was a well-written article, by Jeneba Ghatt, and featured in the online magazine, Politics 365. The title itself, “Black Spending Power to Hit $1Trillion by 2015, But Black Wealth is Dropping,” conjures up an immediate sense of, “Say what?” and “What the…?” The inference I drew from the title comprised a conundrum, an enigma, a paradox, an oxymoron, an irony, an inconsistency, a contradiction, and just plain out of order. My penchant for yelling, “Stop it!” has come from two decades of writing essentially what Sister Ghatt delineated in her article. And let me commend Claud Anderson, Tony Brown, and others who have been yelling a lot longer than I have about the foolishness of Black folks bragging about, or buying into others who brag about, so-called Black spending (purchasing, consumption, or buying) power.” It may be power, but only for those with whom we spend our trillion dollars; it’s definitely a weakness for us. Can you see the untenable and downright ridiculous economic position Black people are in vis-à-vis having a $1 trillion annual income versus not having built a commensurate level of wealth with such a great deal of money? What sense does it make to even discuss Black spending power if we are not willing to leverage that $1trillion into wealth for ourselves and our children? It’s similar to how we brag about how “powerful” our votes are, but we get very little in return for them. Two questions: Where have you heard or read that before? 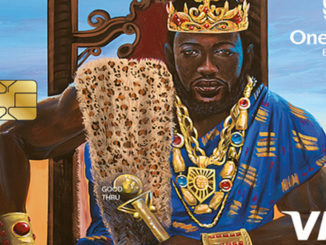 And, what does that say about our willingness to support Black businesses with Black dollars? “Stop it! I’m not going to tell you again.” That is, until the next time I tell you the same thing, and the times after that, just as any good parent does out of love for their children. But in addition to my continuing to rave about our economic condition, and offer ways to ameliorate our situation, I will continue to encourage folks like Ghatt to enlighten us. It’s the same message with a different messenger, but all in the line of Booker T., Garvey, Bethune, DuBois, Elijah Muhammad, Luke Edwards, Robert Wallace, and Brooke Stephens. I am sure Claud’s parents told him a hard head makes a soft behind, and he is constantly telling us the same thing, calling for us to wake up and have our dollars start making some sense by putting them to work for us rather than for everybody else. I continue to say, “Stop the madness, folks.” It’s way past time that we grow up, despite what was done to us in the early years of this country; it’s time we take charge of our own economic empowerment by holding on to more of that $1 trillion a lot longer than we do at present. This reminds me of a song I heard growing up: “The eagle flies on Friday, and Saturday I go out to play; Sunday I go to church and kneel down on my knees and pray.” Yes, they call it “Stormy Monday.” I wonder why.